Back in May, a lovely website went viral that listed a number of spurious correlations between unrelated sets of data. It was loads of fun to read, and a lovely reminder that correlation doesn't imply causation. Edmonton's 2014 census data was released last week, in a glorious Christmas-like occasion for people like me who are into that sort of thing. 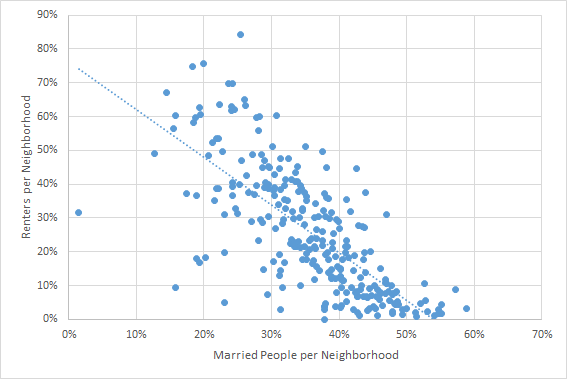 The census asked a couple fun questions and broke the results down by neighborhood, and I originally figured it might be a fun idea to comb through the data for ridiculous correlations like the Spurious Correlations website. I mean, really, nobody really likes renting, but it seems like married people especially don't. 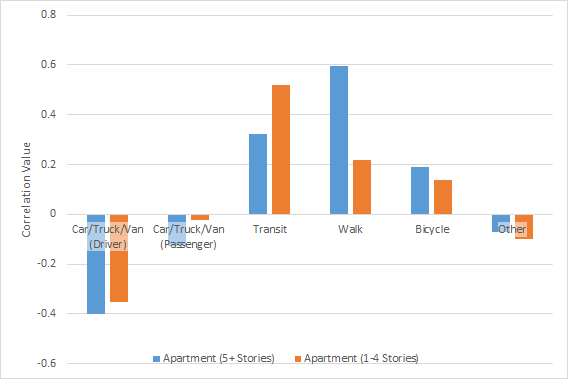 Basically, as neighborhood populations change, people's jobs change too. 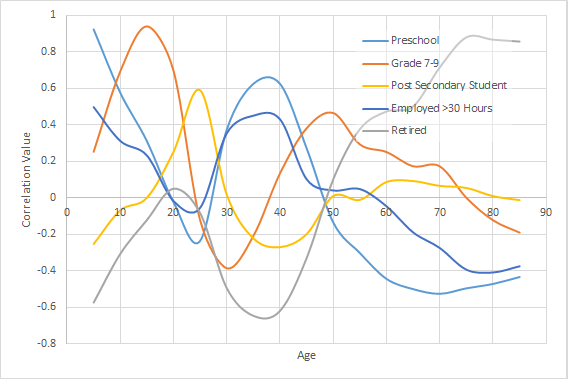 For instance, the most common time to have a family member in preschool is when you have people in your house under age 5 (duh), but the second most common is when you have people aged 35-40. That double-peak pattern gets shifted over by 10 years and flattened out for grade 7 kids.